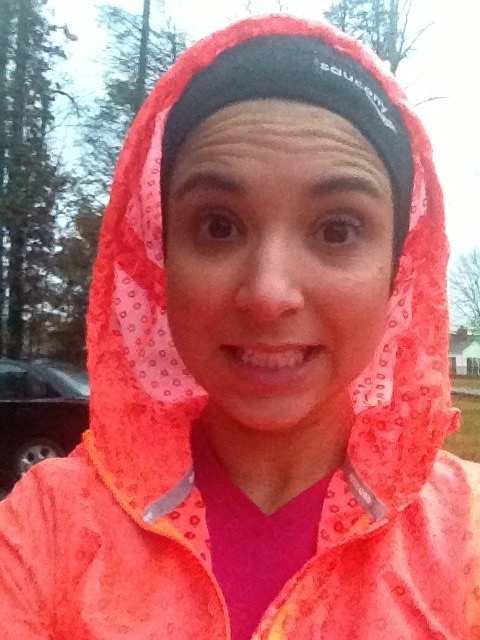 Running in the freezing rain… really?! You will undoubtedly be tempted to break your promise to yourself. When this happens, it will also be tempting to see yourself as a poor victim who is being deprived of life’s great comforts, as if someone else is punishing you. This is how our poor little victim mentality may try to defend itself: “But I’ve had a long day at work and I’m tired! But someone was mean to me today and I deserve a treat! But everyone else is having a piece of cake!” And so on. Resist that by reminding yourself that you are not the deprived, but the one who is doing the choosing. Say to yourself: “I am choosing this for me because I have decided it’s best for me. It is my decision. I am doing this for me.” Repeat as needed. If you think about never having another soda or cigarette or milkshake again, the thought will probably be overwhelming and unrealistic and make you want to quit on your decision altogether. Instead, focus on making the best decision right now. It doesn’t mean you will never be able to eat a double-greased-fried-bacon-burger again; you are just choosing to have a healthier lunch right now. You are not trying never to smoke again; you are just choosing another way to relax right now. Deal with each moment as it comes. In other words, take care of yourself. You are much more likely to be tempted to fall into the old habits when you are tired and stressed out. Schedule some “me” time, get a massage, do something you enjoy. Whenever you find yourself complaining about how tough it is to make these lifestyle changes, think about how you can be grateful. I practiced this recently in order to motivate myself to get up early for a run on a Saturday morning. I found myself in bed with thoughts like these: “It’s Saturday! I should be sleeping in! Lucas isn’t even up yet… I could have been sleeping longer.” So I turned the thoughts around to, “I’m grateful for having a group of friends to run with; grateful that I will get to enjoy a beautiful sunrise and fresh morning; grateful Lucas is still asleep so I can slip out easier; grateful I will be done with the run and still have the whole day ahead of me…” I had to practice the gratitude exercise again a couple of days later when my running partner Jocelyn and I ventured out to run in the freezing rain… hey, it works! And if everything else fails, this one always works: I am grateful for being able to move. So many people don’t have this luxury. And I don’t just mean visualizing yourself at your ideal weight, although that’s helpful too. I mean finding an image that helps you get through those tough moments of doing the hard work. For example, when I am getting tired while running, I will often think about people in my life who might be feeling imprisoned by debilitating disease or depression, or areas in my life where I am feeling limited. Then I imagine myself or those people breaking/running free from the chains. It gives me an extra oomph to finish the run. Give yourself permission to stop the workout or go for the less healthy food or cigarette if you complete a pre-determined activity. For some, that might mean you can eat the chocolate after you eat an apple; or smoke the cigarette after you’ve walked around the block for 10 minutes; or choosing not to do your scheduled exercise routine after putting on your exercise clothes and trying the workout for just a few minutes. When I started running again after having a baby, I read an inspiring book (Run Like a Mother) that had lots of tips for staying motivated. The tip that has mostly stayed with me has been to tell myself to run for just five minutes more. When I feel like stopping or slowing down, I give myself permission to do so — but only after running for another five minutes. Prayer and meditation have been found to increase focus and willpower. And they will make you a better person. Good advice, Alice. Gratitude is something I have enjoyed focusing on lately.